Citing growing evidence of pervasive lead contamination in schools’ drinking water, Environment New York today launched a new Get the Lead Out campaign. As more New York schools test their water, they are finding lead. Photo by: Alfonso Romero, via Free Images. New York, NY - February 15, 2017 - Citing growing evidence of pervasive lead contamination in schools’ drinking water, Environment New York today launched a new Get the Lead Out campaign. An analysis by Environment New York gave New York a grade of C, inadequate to prevent children’s drinking water from becoming laced with lead at school. Environment New York is calling for swift action to ensure lead-free water in New York’s schools [and daycares]. As more New York schools test their water, they are finding lead. For example, lead was detected at 15 ppb or greater at 14% of school outlets tested across the state. Yet a new report by Environment New York Research and Policy Center shows that such confirmed cases of lead-laced water are likely just the tip of the iceberg. For example, the report cites new data from Massachusetts, where half of more than 40,000 tests conducted last year showed some level of lead in water from taps at school. 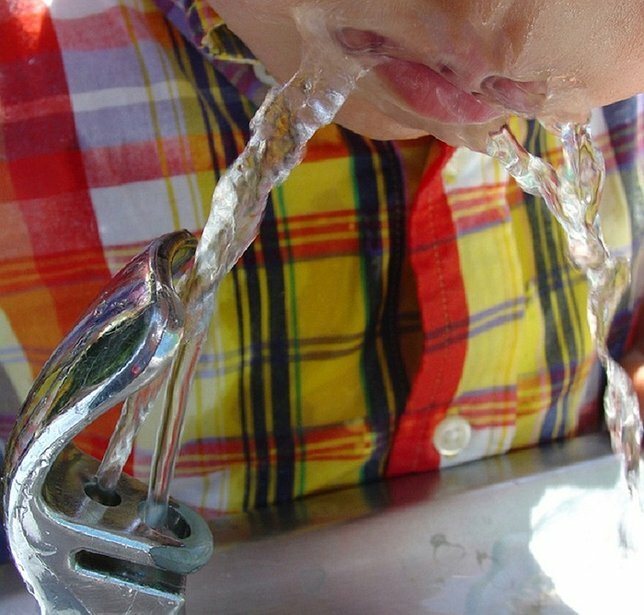 All too often, schools (and homes) have pipes, plumbing and/or fixtures that leach lead into drinking water. In some cases, old service lines – the pipes that brings water from the mains in the street into buildings – are made entirely of lead. Fortunately, some improvements are being made in New York to get lead out of drinking water. In 2016, Governor Cuomo signed landmark legislation, which includes the toughest lead contamination testing standards in the nation, and mandates that schools across the state test drinking water for lead contamination. While this is a good first step, more work is needed to ensure that our children are truly protected from lead contamination in schools’ water. In Environment New York’s comparison of 16 states, shortcomings still gave New York a C.
Parents in other states are demanding action too. Environment New York’s counterparts are working with doctors, parents and community leaders in seven other states to advance policies that Get the Lead Out of schools and daycares. Environment New York is a state-wide, citizen-based environmental advocacy organization working for clean air, clean water and open space. Subject: LongIsland.com - Your Name sent you Article details of "It’s Time to Get the Lead out of School Drinking Water, Says Environment New York"